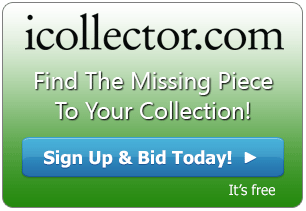 888 Auctions is presenting a timed auction of 500 lots of Canadian and fine Asian antiques, through iCollector.com. This is an absentee bidding catalog and bids are required to be completed by Thursday March 24th, 2016 at 2PM Eastern Time. At that time, the auctioneer will take the highest bids on iCollector.com and place them in the live auction happening later in the day. This is an outstanding selection of artwork and antiques and has many treasures to offer. Included in the Asian antiques are snuff bottles, paintings, stone, nephrite, jade, jewelry, and furnishings. 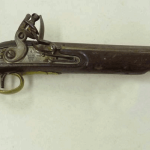 Lot 40 is one of the early Canadian highlights in the auction. This is an oil on board by A Y Jackson and signed on the bottom left. It depicts a lovely winter landscape and is framed, and titled and signed on the back. Jackson was a founding member of the Group of Seven and this has excellent provenance from a private collection in Ontario. The painting measures 26.7cm by 34.3cm and carries an estimated auction value of $25000 to $35000 USD. There are two more works from Jackson in the auction at lots 41 and 41A. Both are worth a look and all three paintings have an array of photos to inspect online. A truly outstanding Canadian work of art is up on the auction block at Lot 53. Presented here is an oil on canvas from Robert Wakeham Pilot. 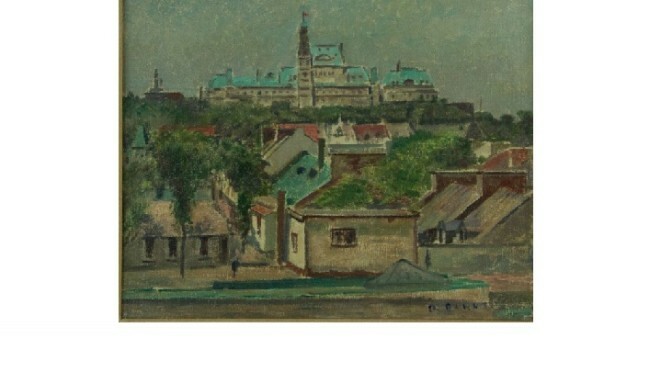 It depicts the government buildings in Quebec City and is framed with dimensions of 58cm by 66cm. The artist has signed this in the lower right corner. This painting has exceptional provenance with the Walter Klinkhoff Gallery, the PSBGM Cultural Heritage Foundation, and Heffel Fine Arts Auction House. Pre sale estimates are $30,000 to $40,000 USD. There are seven well take photos for viewing online. An extremely valuable and rare Chines Tianhuang stone boulder comes up for auction at Lot 86. This stunning carving has the front stone of golden orange tone carved in relief with a pair of Qilin mythical beasts that are standing on cragged rockwork. The back is uncarved and revealing the stones original rough skin. This weighs 128 grams and is 8 cm high. 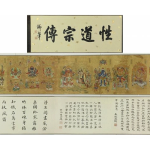 This is a rare opportunity to own a rare piece of Chinese art and is estimated on the low end at $16000 USD. Lot 100 is carving for the value minded collector. This is a small Tianhuang carved seal with yellowish orange town and amber colored suffusions. This weights 5 grams and is 2.2cm by .9cm by 1cm. 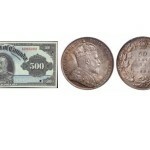 It is estimated in value at $1600 to $3200 USD. All carvings have beautiful photos online for inspection. 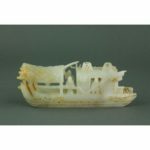 All pieces have an array of beautiful photos and full descriptions available for immediate viewing in the online catalog. Bidders are able to place their maximum bids up until 2PM Eastern Time on the closing date of March 24th, 2016. These final bids will then be taken to the auction floor and placed in the live auction on behalf of each internet bidder. Winning bidders will be notified of their treasures shortly after the conclusion of the live auction.